Do you want to play with the Dolphins? 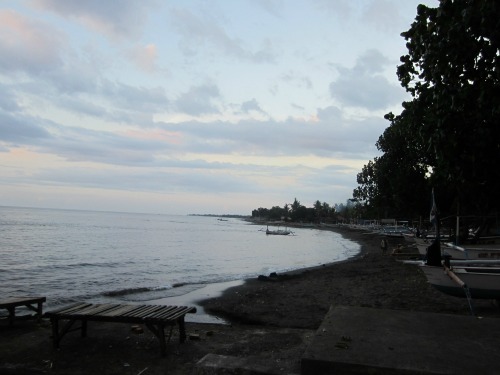 Lovina beach is the place you have to be. Beside of the cute face of the dolphins, this beach has something magical. I’m falling in love with this beach, this place is truly amazing. 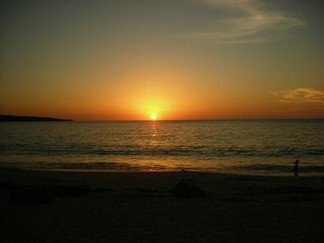 Playing with friendly dolphin, the magical sunset, the peaceful and tranquility beach, what’s more do you wish? Every element is in there. 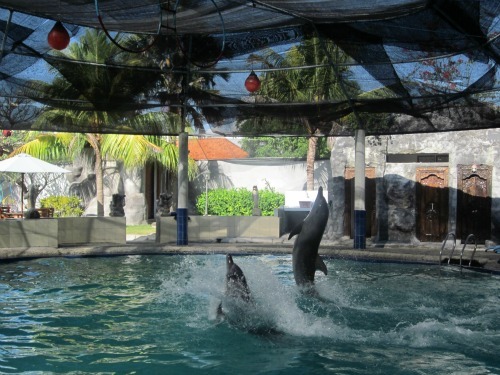 The dolphins that you will see at the Melka Excelsior Bali Resort hotel (if you’re staying in this hotel) also help the autistic children who need their help as a part of therapy. Many people come to this place looking for this kind of therapy for their children who needs special treatment to get the healing program. The Dolphin therapy. In one or another way the dolphin can understand the feelings of the children. It’s amazing to see how they can communicate with the children, just to touch and playing with the dolphin, they understand the children completely. Such happening can really touch your heart, it makes the heart sad and joy at the same time. Why couldn’t we understand such children, but the dolphin, they’re really amazing and they are truly understand. After the therapy, these children are more open about their feeling. It’s really a grateful and helpful therapy. Its help develop the skill and communication of the children. 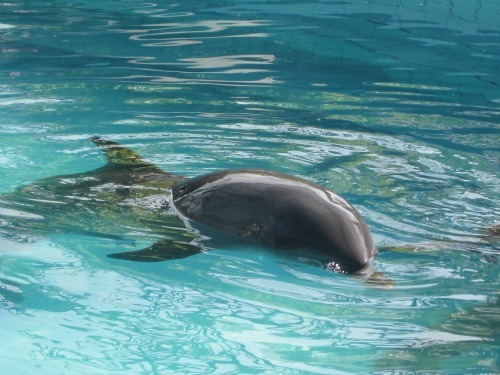 If you ever need this kind of help, please contact Dolphin therapy in Bali. The therapy isn’t cheap but it’s worth it. If you compare to the price in Europe, this is not really expensive, it will do. 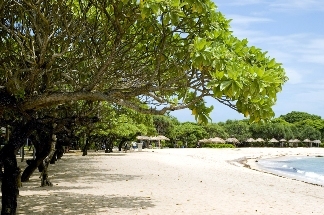 Beside, where else can you do the therapy including enjoy the beautiful and magnificent place such as Lovina beach? At this hotel you can also enjoy the dolphin show three times a day. You can also get the chance to swim with the dolphin. If you’re staying in this hotel, you can do that for free. It’s really amazing experience to do that. Feeling the skin of the dolphin, wow, it’s not slippery like you expected from a fish, but it’s soft and nice to feeling. 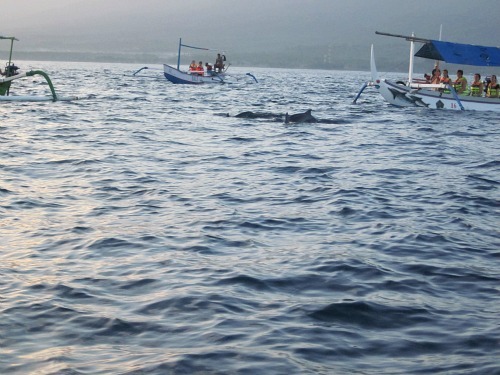 Beside of the beach and watching dolphin, lovina beach can offer you more activity, such as snorkeling and diving. The underwater world here is incredible and ready to discover, men told me. There is plenty diving operator around here. Too bad I couldn’t do diving or else I would love to do that. I have to learn first, but it scared me, maybe someday, I would dare to take that chance. 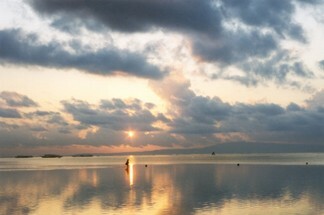 You can do dolphin watching tour very early in the morning. There are countless boat that ready to take you to the wild dolphins, but this action makes the dolphin very upset. Most of the time they will go away when the boat come closer. 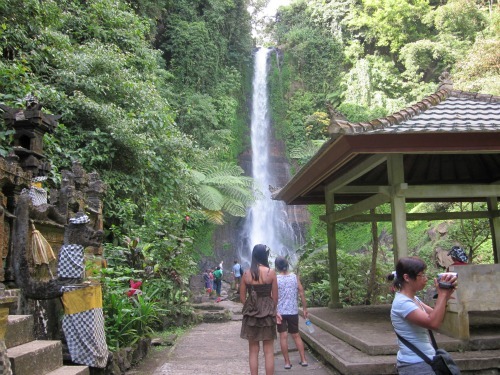 The place surrounding Lovina can offer you a great day out, such as Gitgit waterfall, 40 m height. Great view. Because of the weather in this place, about average 29 degree Celsius, this waterfall could offer you a coolest alternation. 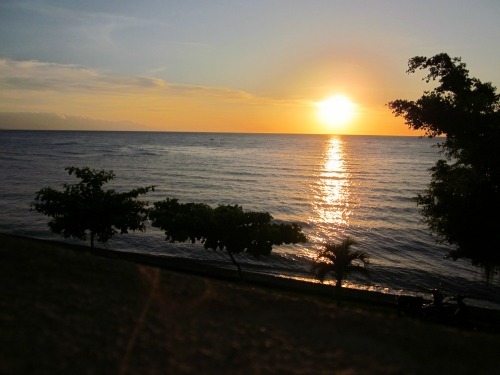 Here is the average weather in Lovina, it’s quite stabile the whole time, even in January or February when in Europe in the coldest month of the years, brrr. And here? It's sunny all the time???? Maybe.... but it's still warm. To get there you have to ride about less than an hour. 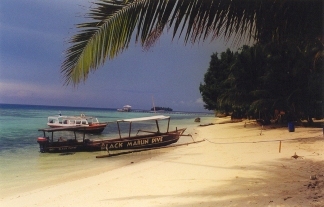 We hire a car to get there from Lovina, it makes easier if you are with a lot of company. 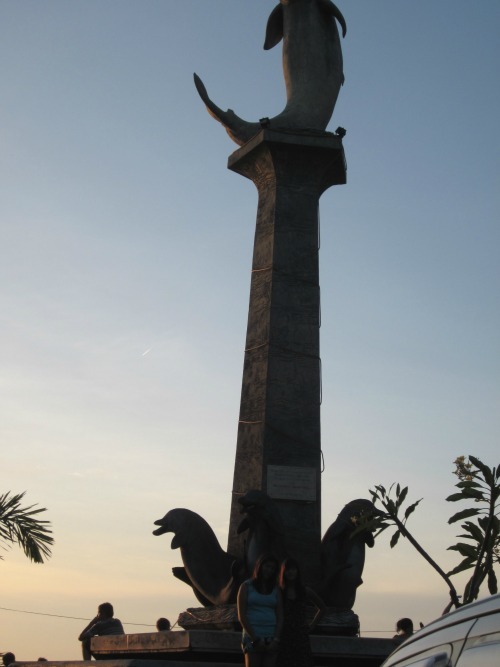 By the way we can also to go to Singaradja, the closest city of Lovina. 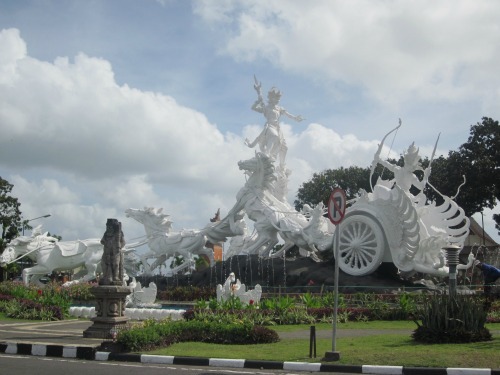 You will see a lot of Hindu statue on the road. They are beautiful. Some of them are scary, but it still lovely to see. 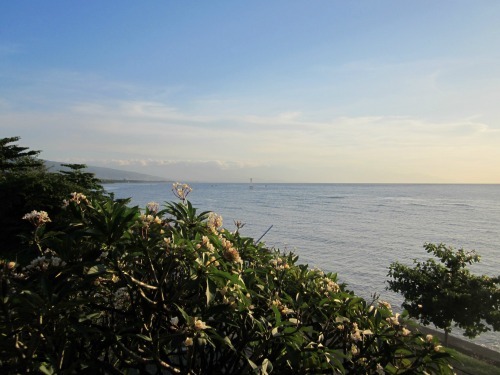 So there are a lot of amazing places and enough activity to make a lovely day around and in the Lovina beach and it’s worth it to visit this bali beach regardless the tranquility. Aneka Lovina Villas and Spa is a family friendly villa located in Singaraja, close to Lovina. There is outdoor pool including special children pool. Nice hotel for the family with children. 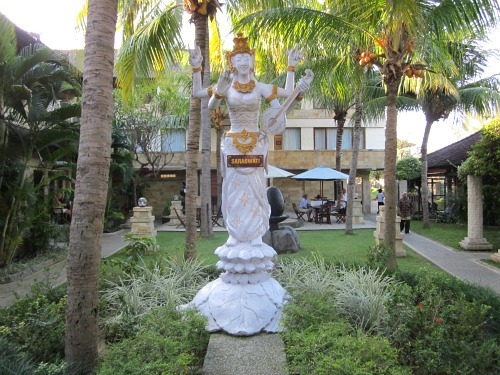 Puri Bagus Lovina hotel is located on the beach in Singaraja. This hotel has a private beach. Nice hotel with outdoor pool. The price for a night is a little bit expensive. The bedroom is excellent and beautiful.